Having a BBQ is my favourite thing to do in the Summer. There’s nothing more I love than mixing cocktails, throwing some sausages and burgers on the BBQ and turning the music up with friends. Of course, true to form BBQs aren’t just about bangers and burgers in my house though. It’s a social feast and today I’m going to talk about one of my favourite additions to any garden party. Simply Sticky Pulled Pork. It always goes down a treat especially on top of a sizzled Burger and Pulled Pork, being pretty twee right now is always first finished. To make this Simply Sticky Pulled Pork we’re only going to require two main ingredients. 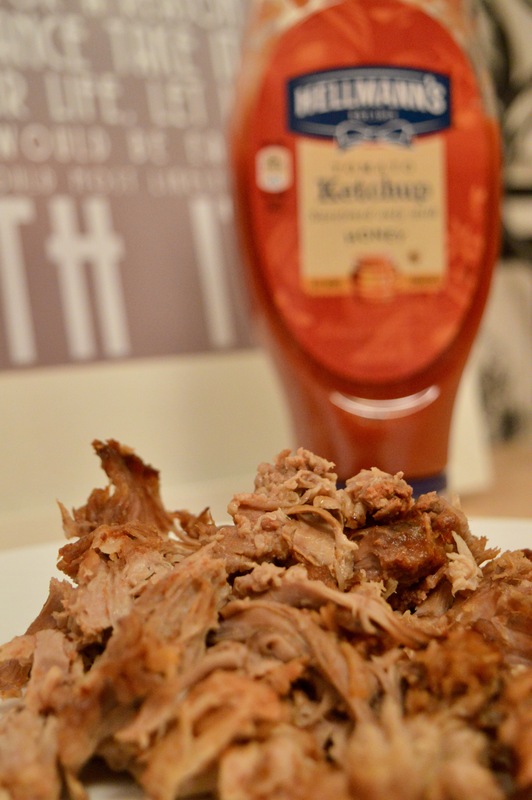 Your pork joint and Hellmann’s new Tomato Ketchup with Honey. You’re going to need a whole day to produce this but I can assure you it’s totally worth it and your diners are going to love it. Ready? Let’s go. It’s one of the most loved American dishes to hit the UK. The question is how do you create the ultimate Pulled Pork. Check out our printable recipe to seasoning, slow-cooking and serving. Remove all fat from the joint and set to one side (you can make crackling for your guests with this). Score Pork with a sharp knife before massaging the Hellmann's Tomato Ketchup with Honey into the joint thoroughly. Place the Pork into the slow cooker, turn onto a high heat for 5-6 hours until tender and ready to be pulled. Remove the Pork from the slow cooker and shred using two forks in a pulling motion away from each other. Once shredded, return the pork to the slow cooker and stir well. If you’re wondering why we’re using Hellmann’s Ketchup with Honey it’s simple really. As you might know, I’m on a total fitness overhaul at the moment in preparation for being the Chief Bridesmaid this August. So when Hellmann’s contains 30% less sugars the market leader standard tomato ketchup it can only be a good thing, right? You’re also getting more bang for your buck too with 36% more tomatoes vs you guessed it, the market leader standard tomato ketchup. 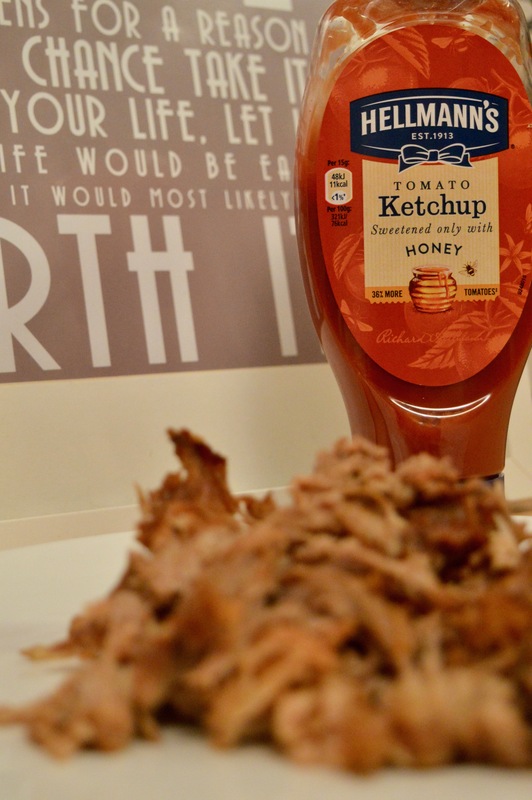 The product is sweetened only with the honey to provide a more natural ketchup offering. 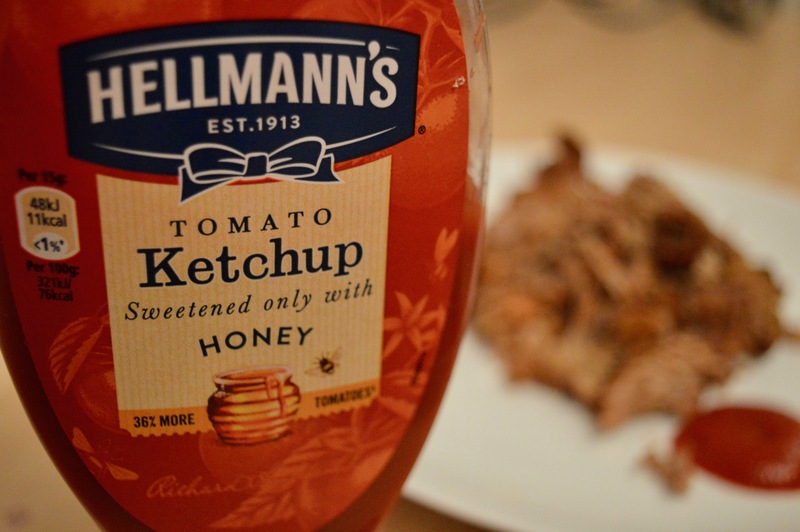 Another reason for using Hellmann’s Tomato Ketchup with Honey is it’s simple and easy and creates a really delicious sauce. It’s not just for dipping your chips in, there’s a whole host of different recipes and creations you can whip up in the kitchen come rain or shine. 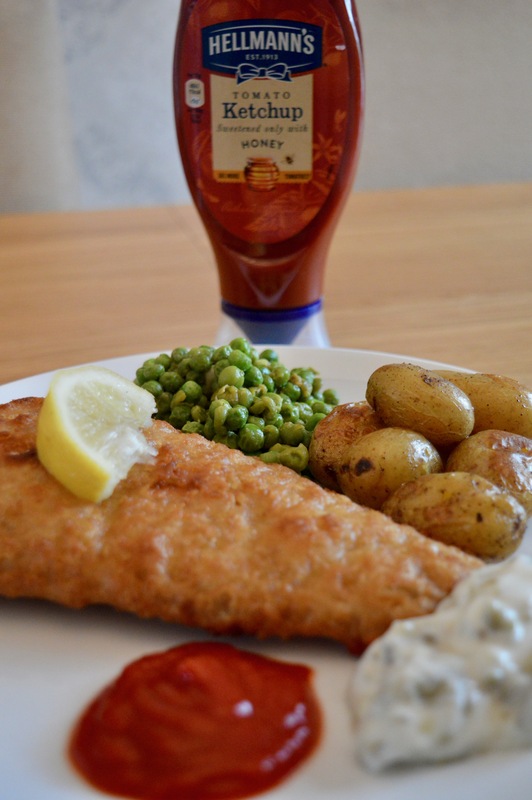 If you’re not feeling creative, why not switch up your usual ketchup for Hellmann’s on the side with your Friday Fish? Available now from all large supermarkets. Disclaimer: This is a sponsored post by, all views are our own. Read more about disclosure here. Next article#TheModernMarriage – Just how far has marriage come?